Nitro Games presents its upcoming game Heroes of Warland in World Football Summit this week in Madrid, Spain. “We consider Spain a very important market in the field of eSports. 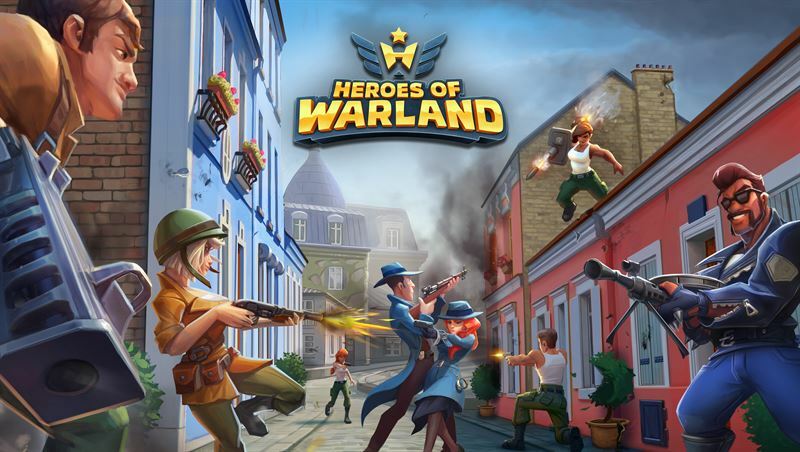 In WFS we’re presenting Heroes of Warland for Spanish speaking audience, as well as exploring opportunities related to competitive gaming and eSports on mobile.” says Jussi Tähtinen, CEO & Co-Founder, Nitro Games Oyj. The World Football Summit takes place in Teatro Goya, Madrid on September 24 – 25. WFS is the international event of the football industry, gathering 2300+ attendees and the most influential professionals from 80+ countries, as well as 160+ clubs and 100+ medias, in order to discuss the most relevant topics and to generate business opportunities. Several of these parties are also active in the field of eSports. Nitro Games is attending the event to showcase Heroes of Warland and Heroes & Superstars reality show. CEO Jussi Tähtinen is also a speaker at the event. Heroes of Warland is now available in Google Play Open Beta in 139 countries. This means the game is available globally for early testers having Android devices, excluding China and few other countries. The game is featured in Google Play in Early Access category in all 139 countries. Heroes & Superstars is a new challenging reality competition show where nine gaming superstars and three extreme sport stars will battle out in Heroes of Warland against each other. The premiere of Heroes & Superstars will sync with the launch of Heroes of Warland and premiere in 2018. Heroes & Superstars will be distributed on global streaming platforms as well as on traditional broadcast. Heroes & Superstars is produced by Gamingzone Entertainment.